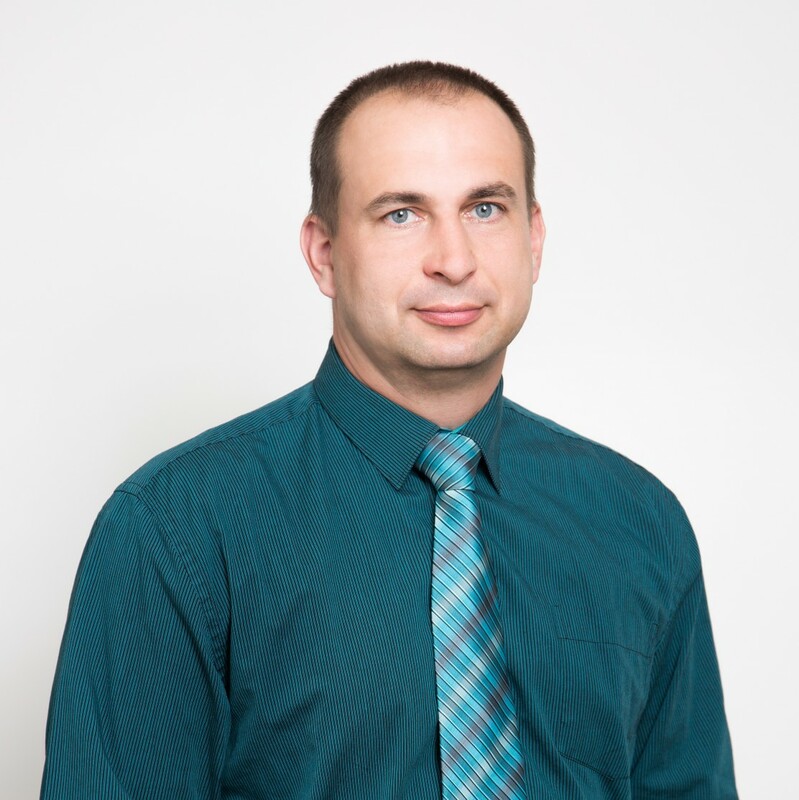 What technologies do we have?We possess a broad range of technologies that allow us to satisfy a wide range of companies interested in the contractual performance of products. What technologies do we have? AVEFLOR, a.s. has produced sprays since its foundation in 1995. 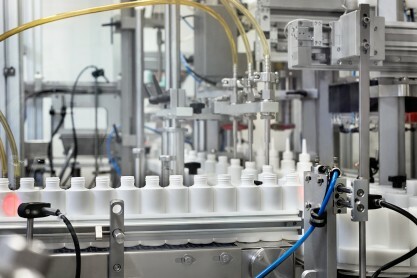 Aerosol packaging of products is a simple dosing system. PET (plastic aerosol container). In 2015 we were one of the first to introduce the technology for filling PET aerosol containers. The advantage of this package is the 100% recyclability of the packaging. The container holds a mixture of liquids, powders, emulsions or suspensions, and propellant gas, which pushes the mixture of the container out by overpressure of approximately 0.4 to 0.9 MPa. The main advantage of the technology known as BoV (bag-on-valve) is the separation of the product from the propellant gas and thus the prevention of mixing the propellant and the product. The product is filled into a valve with a bag (usually aluminium) and the gas (nitrogen, compressed clean air) is propelled between the bag and the container. BoV (Bag-on-valve) aerosols include solutions, emulsions, suspensions, gels, or foams in a separate bag, which is part of the aerosol valve. In the space between the wall of the aerosol container and the separate bag there is a propellant gas, which under the pressure of approximately 0.7-0.9 MPa pushes the content of the bag out of the container. What are advantages of this technology? 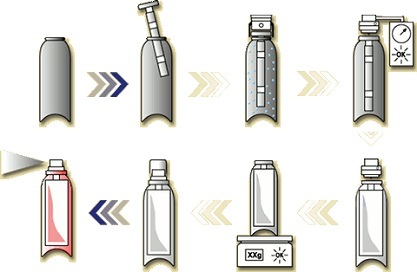 What products can be manufactured as BoV aerosols? 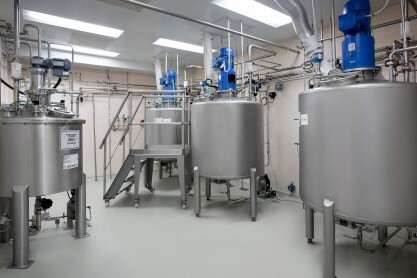 Gels, creams, and ointments are prepared in stainless steel tanks in sizes of 0.6 m3 and 2x 2 m3. From the tanks they are transported through stainless steel piping, or using barrels to the UNIKO filling machine, placed in „the cleanroom“. 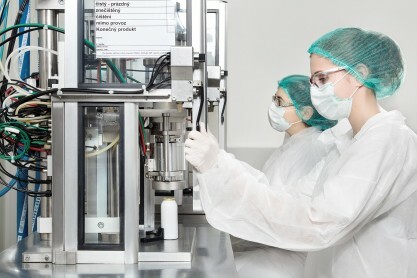 The filling machine fills the gel into a tube and seals the tube. We are also able to fill gels, creams, and ointments into airless dispensers. 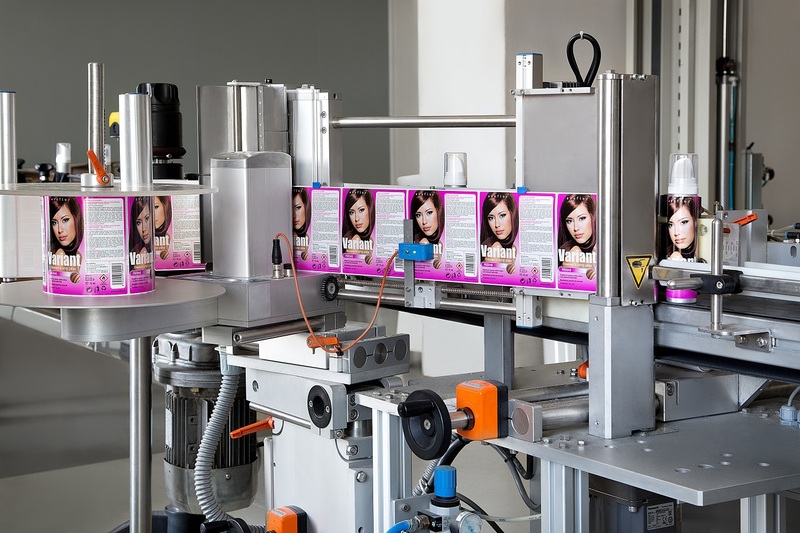 The filled sealed gel is usually packed by a cartoning machine in cartons with the package leaflet. We can place a 2D code for pharmaceutical products on cartons. In the next step, each product is marked with the batch number, statistically weighted and packed in group packaging. 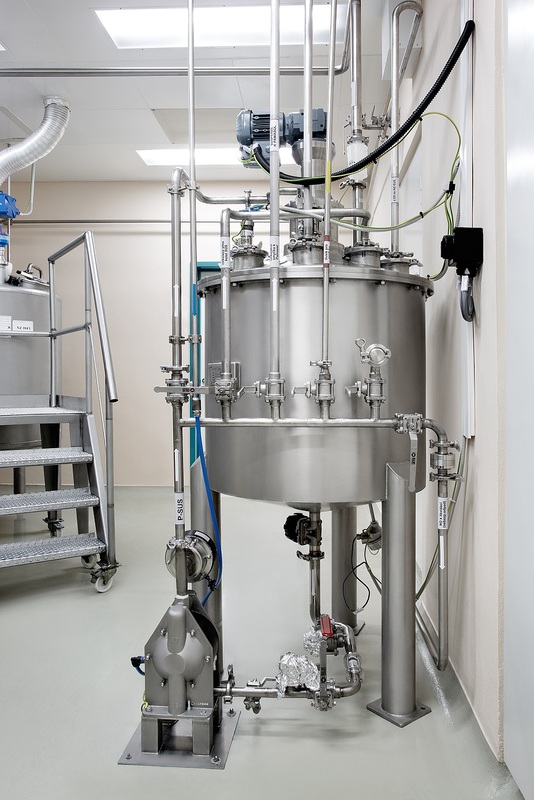 Solutions, suspensions, or some emulsions in AVEFLOR, a.s. are prepared in 3 stainless steel tanks of 1 m3 volume, in a stainless steel tank of 3.6 m3, in pharma storage tanks of volume 1x 3 m3 and 2x 1,5 m3 or in mobile tanks of a smaller size. 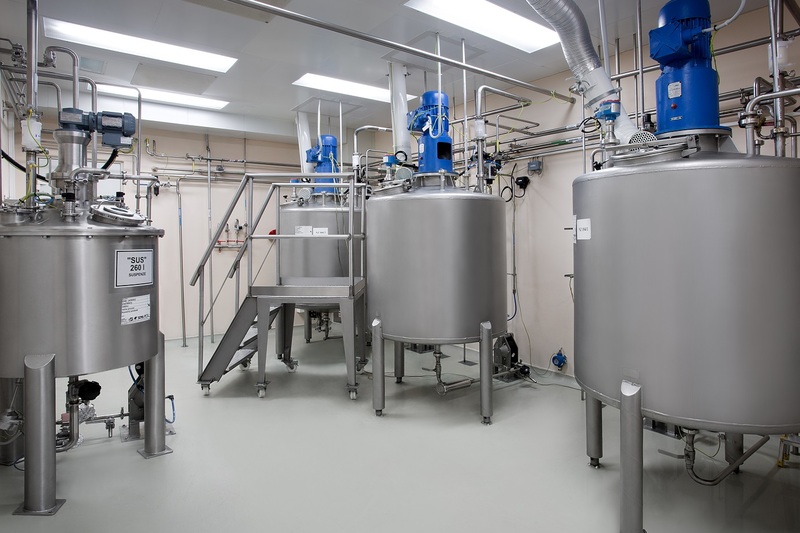 Conventional emulsions are prepared in duplicated stainless steel tanks in sizes of 0.6 m3 and 2x 2 m3. From the tanks, the solution, emulsion or suspension is pumped through stainless steel pipes to the filling lines of the Swiss company PAMASOL (Macromat 2045 and Micromat 2015) placed in the „cleanroom“. 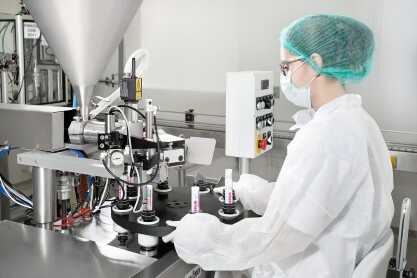 Filling heads dispense the bulk product into the container, seal it with an aerosol valve and they add a suitable propellant gas through the aerosol valve. The filled and closed container is on the filling line in the adjusting room completed with a sprayer, applicator or spray cap, closed with a lid, labelled, printed with a production batch number and statistically weighted. 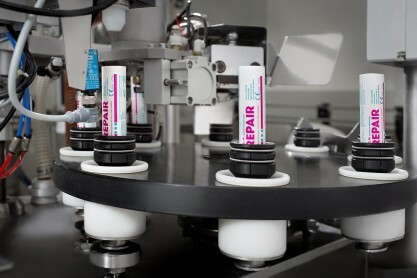 The final aerosol products are packed into group packaging according to customer requirements. They are packed into stretch foil or are inserted into cardboard boxes. On the group packaging, a black and white label by a Willet printer is made, or the products can be placed into printed cardboard boxes. Since 2015, we have been offering the production of pharmaceutical or medical products using a newly installed and validated production line for liquid products. Using this line, we are able to fill in the automatic operation products from 10 ml do 1 000 ml. 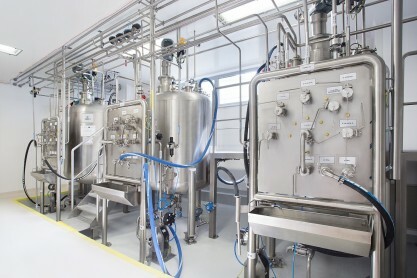 Bulk products are prepared in pharma-tanks at a volume of 1x 3 m3 and 2x 1.5 m3. All equipment has the installation, operational, and process qualification including software, which controls the whole production process from raw material weighing up to their dosage according to the approved formula into production tanks. 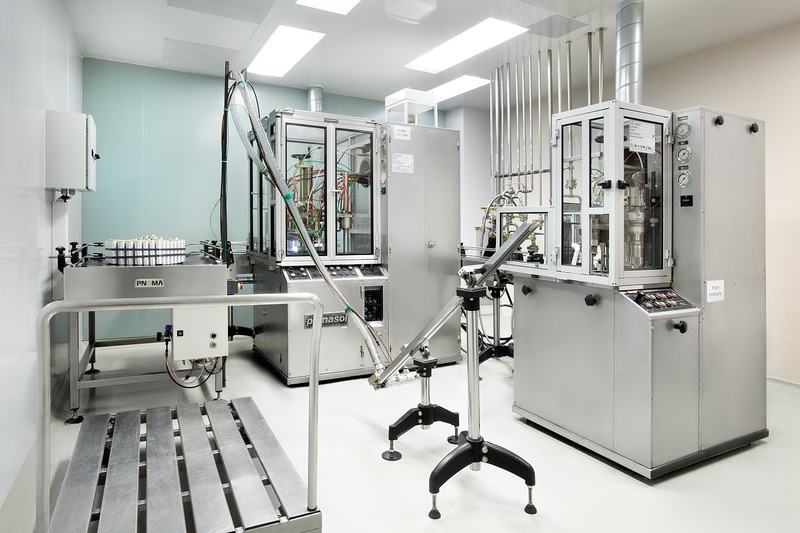 All activities associated with the open form of materials or solutions take place in newly established cleanrooms. A part of commissioning of the production facility was also validation of cleaning the individual production facilities. In a special tank, we are also able to produce suspensions. This tank allows continuous stirring and a steady motion in all parts of this tank. 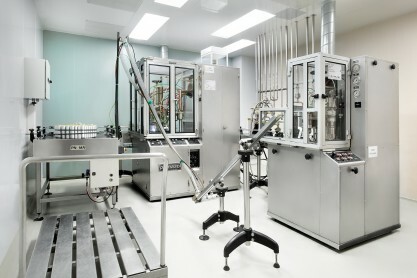 Moreover, it is connected to the circulation piping to the filling machine and from the filling machine. The suspension is in constant motion which allows precise filling into aerosol containers. 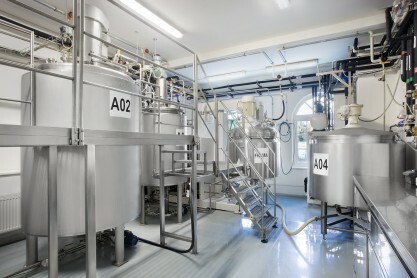 We use this technology for the production of powder sprays. One of the very successful products is bleed stopper developed in our laboratories.